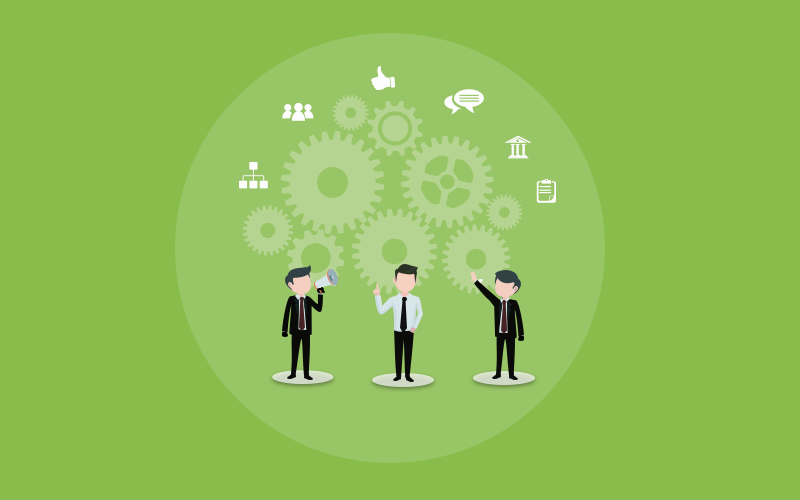 How to Ensure Proper Communication Flow Within Marketing Teams? Imagine this: You have numerous marketing campaigns to look after. Each campaign is managed by different sets of people who keep you posted on how their strategies are being implemented. But even after proper work segregation, you face challenges like delayed implementation of strategies, delayed delivery of content and improper use of media, therefore leaving you in a bad light in front of all your clients. Outcome? You either lose your clients or come across worried clients who begin to micro-manage every project task. Ever wondered, what went wrong despite having a good management system in place. Let’s just say that proper communication is all you have to work on this 2019! The year has just kicked off, and you’d like to make a good start to it. However, stringent marketing goals still keep your team members on edge. Although the tasks have been divided correctly and realistic due dates are set, you still observe a lot of things being missed due to lack of proper communication. Therefore, getting the right communication tool to ensure proper collaboration within the marketing team is essential. How to Choose the One! Your management tool should allow you to conduct real-time communication with team members across different departments. If not, you’ll probably miss out on a lot of project updates that constrain your team from providing the results that clients expect. Real-time communication should not only be limited to in-house members, but should also include remote employees and client representatives. 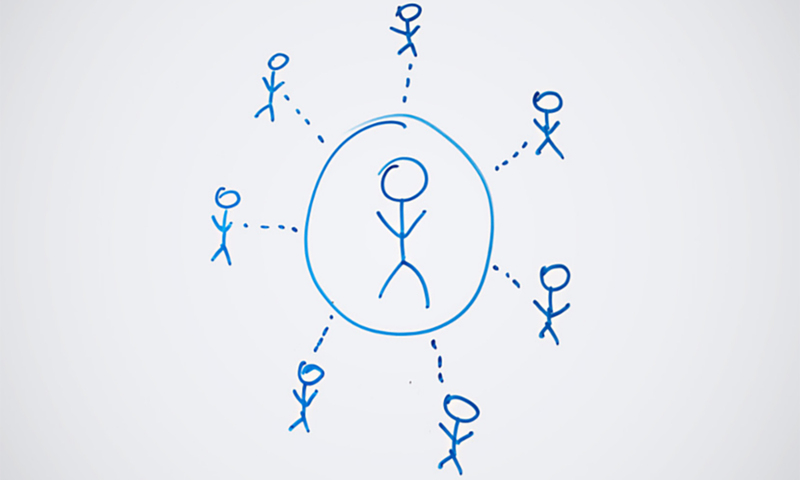 Your marketing project management software should also allow you to collaborate with clients efficiently. You would have observed how time taking meetings can be. And, it’s not possible for your clients to spare time for every discussion. That’s because some discussions tend to shift from primary agenda to other issues which clients feel aren’t important to them. But with the PM tool in place, you can easily keep your clients in the loop without seeking their presence for a meeting. All you have to do is add them as users with restricted access that allows them to monitor the progress of every task under a marketing project. They can also add their inputs or tweaks to your existing strategy, therefore helping your team members work simultaneously without missing deadlines. There are times when your team loses track of certain updates on the existing marketing strategy, while they were on the field. Not only does it hamper their work process but also leads to late delivery of goals. This PM software helps them receive email notifications on all the updates for your marketing project. As a manager, you understand that any delay can result in unhappy clients, which you can’t afford. To avoid such a scenario, we recommend you to get project management software for your marketing department that helps you receive notifications by a team member or by your client. It would also notify you about file uploads, therefore reducing your time and effort to search through long email chains to get access on any updated documents. With a PM tool in place, your marketing teams will never miss a project deadline. Every time a task is about to start, they will receive an email notification. And in case you are midway in a marketing campaign, then the tool will notify you about the missed milestone. Since you are bound to miss the deadline, this alert can help you take corrective measures and deliver promising results to clients. These four key features can help you ensure a proper communication flow within the marketing team. What’s more, you can find all these features readily available in ProProfs Project. Besides proper communication, the tool will also help you implement your work efficiently and also help you track your team’s performance hassle-free. 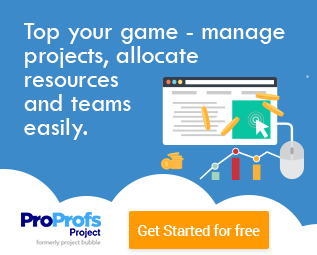 So I’d say you should sign up for ProProfs Project here, and explore all its features at length!